As the year draws to a close, Berrett-Koehler authors show no signs of slowing down. The New York Times recently featured the work of Edgar Villanueva—author of Decolonizing Wealth—in an article that called to modernize American philanthropy." Sonya Renee Taylor's breakout bestseller The Body is Not an Apology was named by Audible as runner-up book of the year in the self-development category. Meanwhile, career development and employee engagement legend Beverly Kaye sat down with Forbes to discuss alternatives to the traditional approach to career development, showing us organizations need to step up to create cultures that make career management a priority and how, in some cases, stepping back from your career can actually be a good thing. Is it any surprise that Kaye's perennial bestseller Love 'Em or Lose 'Em has made a return appearance on our bestseller list this month? Oh, and if you haven't heard, Berrett-Koehler has teamed up with our friends at Humble Bundle to bring you a bundle of our most influential books on new leadership and management strategies. Packed with more than 20 ebooks and audiobooks, this is your chance to snag a fresh set of leadership ideas to put into practice in the new year! Best of all, you can name your own price and help support a charity at the same time. Go here to get your bundle now, before it's gone! Now, read on for November's bestsellers. 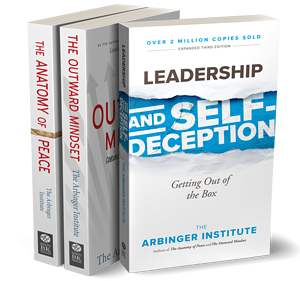 The Arbinger Institute's powerhouse trio of bestsellers, Leadership and Self Deception, The Outward Mindset, andThe Anatomy of Peace, continue their reign at the top of our list this month. And is it any surprise? Together, these books have sold over 2.6 million copies and are available in over 30 languages! With their message of conflict-resolution, self-reflection, and putting others first, it's no wonder that fans around the world continue to gravitate to these books. It's the time of year when a lot of people like to reflect on what they've achieved in the past year—and on what they want to accomplish in the next. 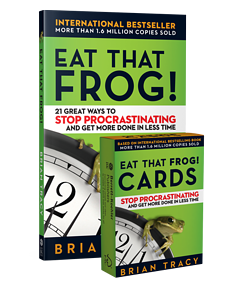 If your to-do list is looming large, Brain Tracy's longtime bestseller Eat That Frog! is your ticket to a more productive future. 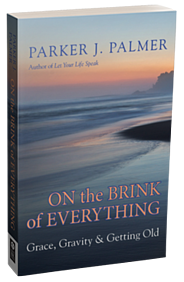 On the Brink of Everything is the latest book from beloved bestselling author, poet, and educator Parker Palmer. With gravity and levity, compassion, and chutzpah, Palmer explores the importance of developing a robust inner and outer life, a sense of meaning and purpose amid pain as well as joy, and the intergenerational relations that enhance the lives of young and old alike. Here’s a book not only for elders but for those younger folks we call “old souls." Debuting at #4 on our November bestseller list, Convinced! teachers readers how to more fully convey their competence to others. 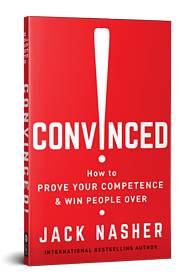 International bestselling author Jack Nasher argues that competence does not speak for itself—you have to draw attention to it. Whether you're looking for work, giving an important presentation, seeking clients or customers for your business, or vying for a promotion, Nasher explains how to use techniques such as expectation management, verbal and nonverbal communication, the Halo Effect, competence framing, and the power of nonconformity to gain control of how others perceive you. 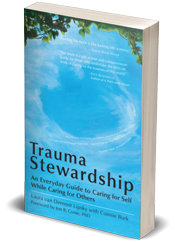 Trauma Stewardship has been described by Amazon reviewers as "the most intelligent, comprehensive, and down-to-earth and practical book on compassion fatigue." Nearly 10 years after its original publication, we couldn't agree more. This book is for people who work to make the world a better place, and in doing so must constantly confront pain, suffering, crisis, and trauma head-on. Author Laura van Dernoot Lipsky shows how to respond to suffering not by hardening our hearts or by internalizing others' struggles as our own, but by developing a quality of compassionate presence. She recently published a new book this summer, The Age of Overwhelm, which builds upon concepts inTrauma Stewardship by offering the tools and strategies for maintaining integrity when things feel like they're out of our control. 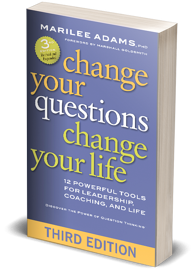 Change Your Questions, Change Your Life shows how the kinds of questions we ask can be the root cause of many personal and organizational problems. She uses a highly instructive and entertaining story to show how to quickly recognize any undermining questions that pop into your mind—or out of your mouth—and reframe them to achieve amazingly positive and practical results. Based on author Marilee Adams’s decades of research and experience as an organizational consultant and executive coach, this book can make a life-transforming difference—as it already has for many thousands of people around the world. 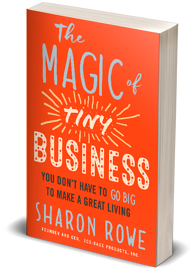 The story of successful tiny-business entrepreneur Sharon Rowe has been featured everywhere, including Forbes, Entrepreneur, and INC Magazine. In her hit book, The Magic of Tiny Business, she shares the lessons of what makes tiny so compelling. Like a tiny house, a tiny business is built on maintaining a laser focus on what is essential. As an entrepreneur and mother, Rowe is most concerned with putting family first, maintaining financial security, and doing something that makes an impact in the world. Through her success story with Eco-Bags Products, Rowe distills the step-by-step process of building a profitable, right-scaled, sustainable venture that doesn't compromise your values. She shows you how to test your concept, manage your money and priorities, and more, while staying true to the tiny ethos. 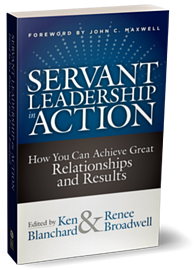 Servant Leadership in Action is the must-read book of the decade on servant leadership. Hailed by INC Magazine as "one of the most anticipated leadership books ever published," Ken Blanchard's edited collection of essays on servant leadership is the go-to guide on an ever-growing leadership style that upends the outdated model of command-and-control leadership. With contributions from the likes of Brené Brown, Stephen Covey, Liz Wiseman, Raj Sisodia, Cheryl Bachelder, Michael Bush, Jim Kouzes, and more, Servant Leadership in Action brings together a diversity of voices in leadership who have been putting these concepts into action, and making the world a better place while doing it. Leaders need people skills, execution skills, a deep knowledge of industry trends, the ability to articulate a vision, and more—they must be competent—but that’s just the tip of the iceberg. What’s below the waterline? Bestselling author Mark Miller's answer? Character. 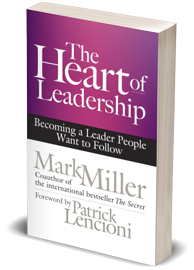 The Heart of Leadership follows fictional CEO Blake Brown, to examine the five unique character traits common to exceptional leaders—and how to cultivate these traits in ourselves. 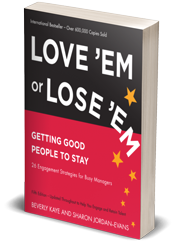 Five editions on, Love 'Em or Lose 'Em remains one of the go-to guides on talent management and employee retention by longtime career development and management legends Beverly Kaye and Sharon Jordan-Evans. Offering 26 concrete practices for developing and engaging talent, it serves as the antidote to a disengaged workforce. With over 700,000 copies sold in 23 languages around the world, this book has equipped hundreds of thousands of managers to address their employees’ real concerns and keep them engaged.